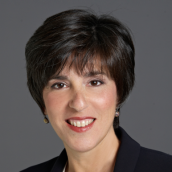 Ilene Lainer is a co-founder and President of New York Collaborates for Autism (NYCA), an organization founded in 2003 dedicated to creating innovative replicable programs that address the needs of individuals and families living with Autism Spectrum Disorder (ASD) right now. NYCA has co-founded the NYC Autism Charter School, Hunter Autism Research, Practice & Policy Center, NewYork-Presbyterian Center for Autism and the Developing Brain as well as Project SEARCH Collaborates for Autism, which uses an autism enhanced curriculum. In 2016, NYCA will open Neighborhood Network of New York (NNNY), a new community living model for adults with autism, in collaboration with Community Living Opportunities (CLO). Ilene Lainer was formerly a partner at the law firm of Grotta, Glassman & Hoffman (GG&H) where she practiced labor and employment law on behalf of management. Ilene currently serves on the Board of Trustees for the NYC Autism Charter School, is the Board Chair of NNNY and is a board member of NYCA. She is the mother of two sons, one with autism.